The 100 meters is the most difficult race in track and field. Do you think this can be so? What about the race one lap around that track? Or to make matters worse, the same 400-meter race only now with ten obstacles in your way. How could those events not be harder than running in a straight line? If it all came down to the physical aspects, than those events probably would be. But everyone knows there is so much more to track and field, or any sport, than physical challenges. The 100 meters is infamous for the statement, “I just needed 2 more meters”. It’s a race that has no room for error and requires next to perfection. Every aspect of the race needs to be executed correctly because frankly, you do not have much time to make up for any mistakes. In the 200m, 400m, or 400m hurdles, these events are all difficult but they allow you one thing the 100m is not very lenient on, that is time. The hundred is a fight for tenths of a second on a more regular basis than every other distance. There is obviously no stagger to begin the 100m – no telling yourself to catch the runner in front of you, no telling yourself to run for your life when in lane 8 so you don’t get caught – everyone starts at the same straight line, staring down the same track. You hear him breathe, you can hear him pray and you can hear him psyche himself up. To make matters worse, from the first steps out of the blocks you can tell if you are winning or losing. This is a factor that can quickly send many athletes into a panic mode. She will begin to try way too hard to catch up, thus blowing the rest of her race. The mental beatings can be rough just from lining up right beside your competition. To be fast for the 100m you have to train fast. Though it seems unfair when the 400m runners are doing 4x300m repeats, the short sprinters are running 4x40m repeats as fast as they can. The problem here is you do not see too many athletes blow a hamstring running four 300’s, while it happens all the time sprinting full speed training for 100m. The workouts may not be as hard as 400-meter training, but the amount of stress you put on your hamstrings cannot be compared. Many times when an athlete looks at the hardest event he will just look at which one is physically harder. What about the mental aspects do those not play a major role? Great sprinting in the 100m comes from focus, confidence, and concentration. Track is a sport where you can have all the talent in the world but if your mind is not all there, talent can mean nothing. Ian Warner is the co-founder of CoverGround.ca, a Blog that helps you train from the ground up. Ian finished 7th at the 2007 IAAF World Youth Championships. The other co-founder is his brother Justyn and was featured in a previous article When Athletes Blog their Secrets. Great post. What all the points boil down to is who can maintain the best mental focus. Every single physical aspect of the race comes from one thing: the mind. If mentally you don’t have a good start, physically you won’t have a good start. If mentally your form breaks down, physically your form will also break down. The athlete who is best able to maintain his mental processes (assuming all athletes are of similar speed) is more than likely going to be the victor. Forgot to mention the zero-false start rule and the higher importance of a fast reaction time in the 100m. On one hand I agree with the inherent difficulties involved in racing the 100m as far as reaction time, mental focus, etc, etc. The physical effort is relatively easy, but the execution aspects can be tricky. Here is the thing though: once you run it enough times, a lot of those things become automatic. I switched high schools after my Sophomore year and went to one of those best High School track teams in my State (NY) to one of the worse in another, making these worse is the fact that latter school had a lax training program so I didn’t have the fitness to race the 400 the way I wanted to and it was hard to do supplemental training outside of practice. So I “hid” from the 400 and became a 100/200 guy, as opposed to a 200/400 guy for the next two years of High School. Sure felt easier to me. Yeah the first couple of races it was a struggle to have to execute so fast, and my times were inconsistent when I would have a bad start and get out of a race mentally. But by mid season it was automatic almost like a reflex, once you’re locked in mentally you can just run. 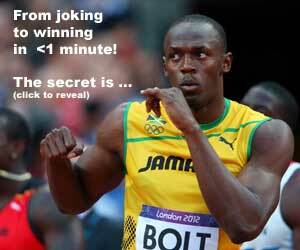 Even Usain Bolt says the 400 is harder. Even when I’m in amazing shape it just *()#$)#$# hurts, the training is brutal, your dread certain workouts you know you can get through, but you know it’s a test of mental strength just do get run those last 3 400s of a 6 x 400 workout with quality. The 100 is it’s own unique challenge, but you’d be hard pressed to find a sprinter that has the talent for both to say that the 100 is harder. Especially since SO many sprinters who were 400m guys who developed 100m level speed end up dropping the 400. You know like Mr. Bolt. I do believe that 100m is TECHNICALLY most difficult, you got no space for mistake at all! but I still believe that the hardest part in the track and field and road events is 400m, the longest distance of SPRINT event! Of course, according to your theory, sports like football, rugby, tennis e.t.c.would be much more “difficult” as it requires great speed for about 90 minutes. Although these mental aspects of 100m sprint performance can affect the physical, like markham wrote, they can be put right with race practice and usually are by june-july. 400m flat or 400m hurdles?